Congratulations! 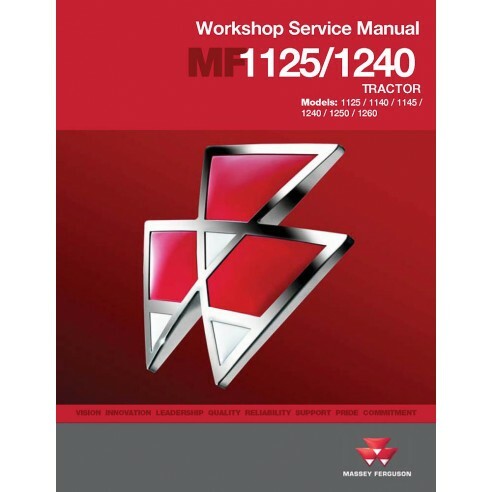 You have finally found the best Workshop service manual for MF 1125, 1140, 1145, 1240, 1250, 1260 tractor. 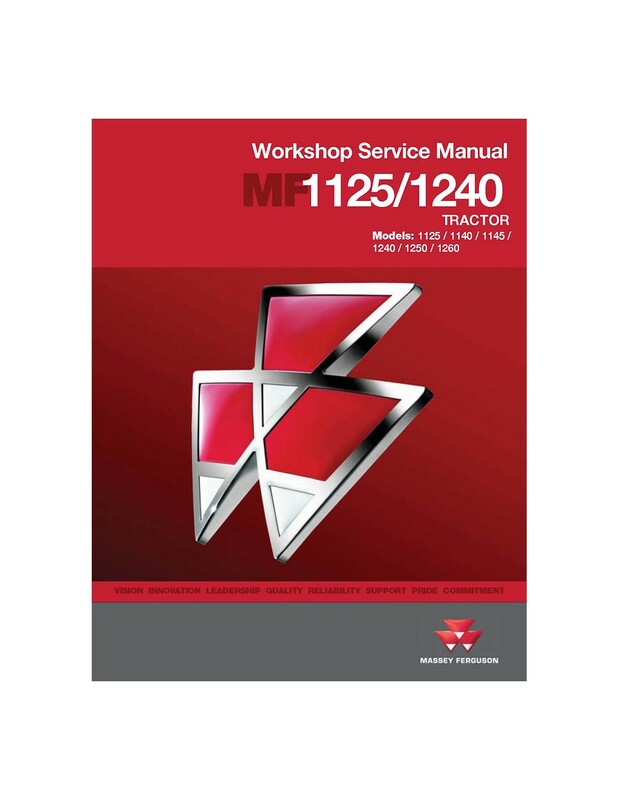 This Workshop service manual is used by specialists in dealerships for quality maintenance, diagnostics and repair of your machinery. 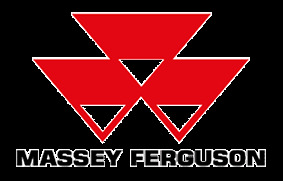 This technical guide contains everything you need to know about repairing, maintenance and will give a lot of valuable knowledge about your Massey Ferguson tractor.